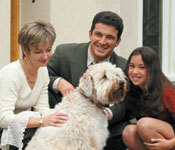 Tartar Shield products are available from your Veterinarian’s office or from our website at www.TartarShield.com. Don’t make your pet wait for more Tartar Shield products. You can order another supply to be shipped to your door as often as you`d like! To receive repeat orders, click on “Auto-Ship” during check-out. Tartar Shield products are currently available at the veterinary offices below. Check back often to find an office near you! Tartar Shield products are also available in Canada and Latin America. In Canada, Tartar Shield is distributed through McCarthy & Sons Service. Please call 1.800.461.8615 for more information. Please note, in order to view the location markers on the map, you must have Chrome, Firefox, Safari or Internet Explorer 10 or higher.